1. That a larger vegetable diet instead of much meat possibly might be of bene- fit to your health and that of your family. 2. Tbat a diet of vegetables is more economical than a meat diet. 3. That the kitchen garden is the surest way of securing fresh vegetables, as the purchased vegetable is most frequently old and inferior. 4. That if you do not plant your yard and care for it, the weeds will grow and become ugly and offensive. 5. That you plant your vegetables in long rows instead of little beds and do without stooping, the work of six hoes with our wheeled garden cultivator. 6. 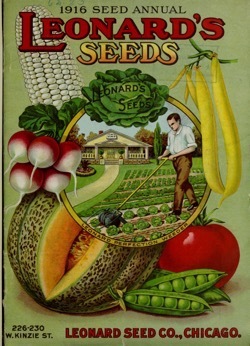 That the work of making a garden is as healthful a physical exercise as golf and as mentally stimulating as chess, the work for ladies and gentlemen. 7. That no house can be complete in its setting without well-kept gardens, lawns and flowers. 8. 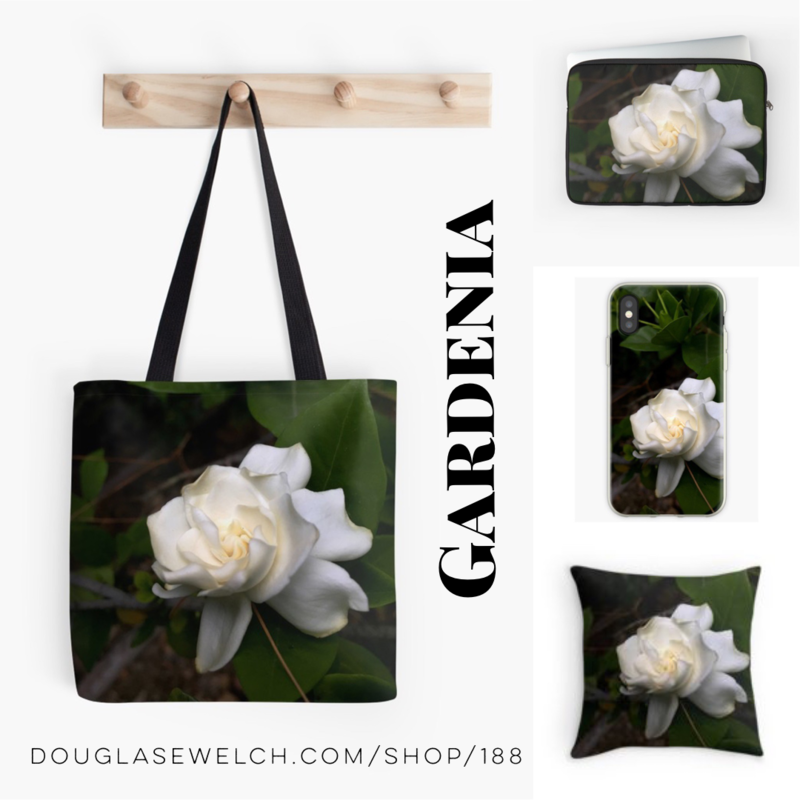 That no place can possibly be mean that has about it gardens, lawns, and flowers grown from our vegetable, grass and flower seed. 9. 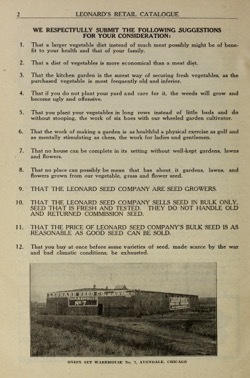 THAT THE LEONARD SEED COMPANY ARE SEED GROWERS. 10. 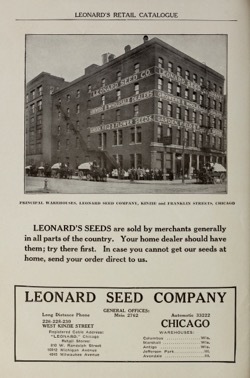 THAT THE LEONARD SEED COMPANY SELLS SEED IN BULK ONLY. SEED THAT IS FRESH AND TESTED. THEY DO NOT HANDLE OLD AND RETURNED, COMMISSION SEED. 11. 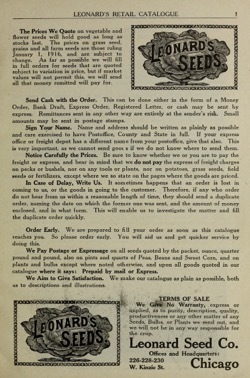 THAT THE PRICE OF LEONARD SEED COMPANY’S BULK SEED IS AS REASONABLE AS GOOD SEED CAN BE SOLD. 12. That you buy at once before some varieties of seed, made scarce by the war and bad climatic conditions, be exhausted. 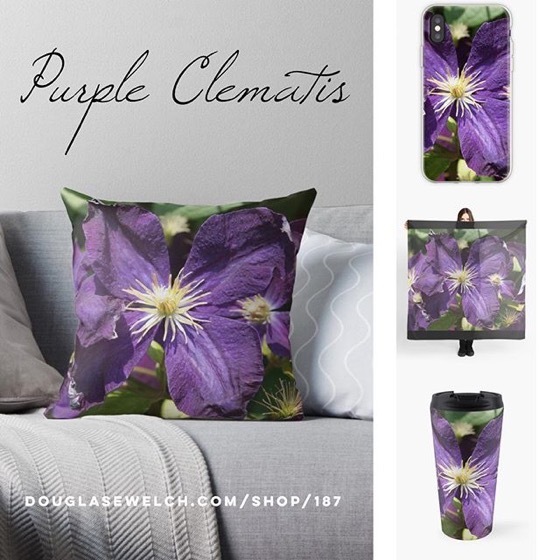 Categorized under: Flowers, Food, Fruit, Garden History, History, Plants.